When venturing out with the kids into strong, sunny conditions, trust Mountain Buggy to keep your little ones safe and protected. 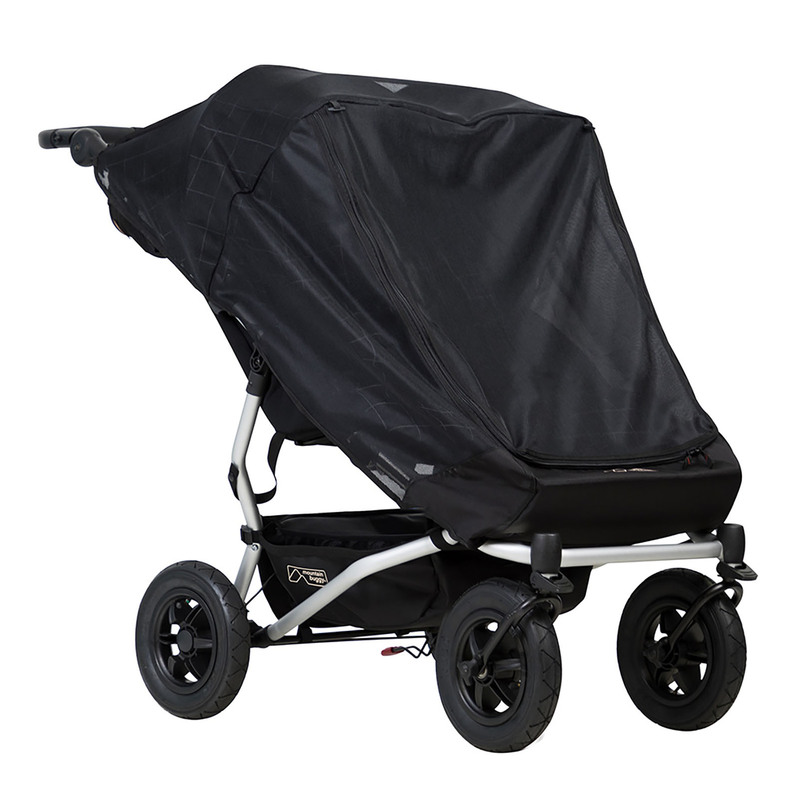 Compatible with the Mountain Buggy Duet twin pushchair (manufactured from 2014 onwards), the Sun Cover is made from a strong and durable mesh material which can also be used to protect against insects and bugs. The Double Sun Cover provides excellent coverage for both seat units and offers easy access to your children with the zipped opening.